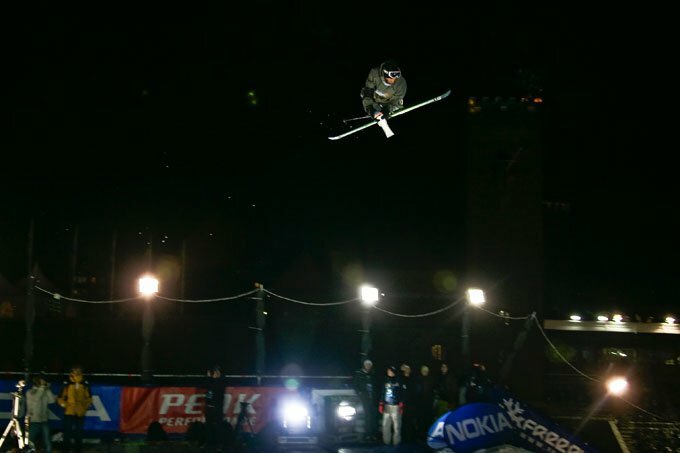 In the crowded Olympic Stadium of Stockholm the atmosphere was on the high when the worldâ€™s best skiers and snowboarders competed on the gigantic city jump in the heart of the Capital of Sweden. The riders pulled off amazing tricks and the level was has high as it gets. The 22 year old Frenchman Richard Permin won the freeski pro contest Peak Performance King of Style facing 20 of the worldâ€™s top riders. Permin won 10 000 USD and his first big contest. He was certainly King of Style after his slick â€Switch 720 Double Tailâ€ (backwards, two rotations, and a grab with both hands). Canadian TJ Schiller took second place with a couple of impressive jumps â€“ a Switch 1260 Mute Grab (backwards, three and a half rotations and a left ski grab with the right hand) and a stylish Switch 1080 Nose Mute (backwards, three rotations and a left ski grab on the tip of the ski with the right hand). American Simon Dumont took third place and impressed with a beautiful double front flip. The local Swedes were well represented in the top ten final with four skiers. 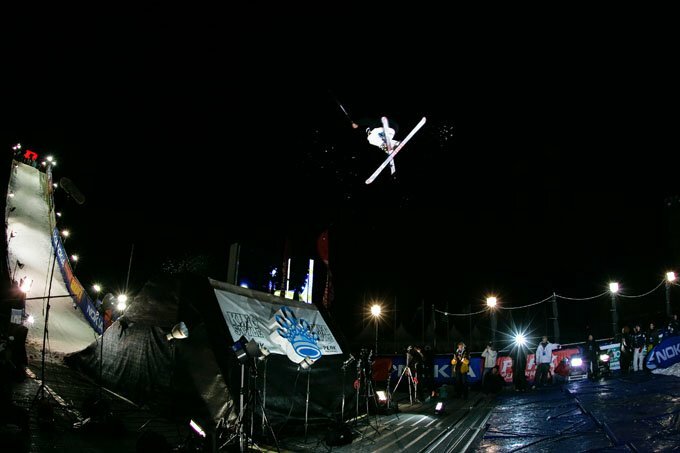 16-year old Oscar Scherlin had a good session and ended 5th, beating his mentor and mega star Jon Olsson when Olsson went big and did one of the most advanced tricks of the evening a â€Kangaroo Flip 1080â€ but missed the landing and ended on a ninth place. In the second world cup contest in snowboard this season the Finns ruled, taking all three podium places out of 61 participants. The 2005 junior half pipe world champion Janne Korpi on first place and 11 000 USD richer, Risto Mattila second and Sami Saarenpaa on third place. Janne Korpi won with a â€Cab 10 Nose Grabâ€ (backwards, three rotations and a nose grab). Risto Mattila, one of the big pre hand favourites, and big air world champion 2005, took second with an advanced â€Switch Backside 9 Lean Grabâ€ (backwards, 2 Â½ rotations and front hand grabs back heel edge). With todayâ€™s win Korpi has now advanced to leading the world cup. The snowboard contest is judged in a â€head to headâ€-format, meaning two riders against each other, the best out of the pair continues. The organiser estimated around 18 000 visitors at the Olympic Stadium during this action packed event with freestyle motocross, rock nâ€™ roll, hip hop, rail sessions, 20 exhibitors and a lot more.